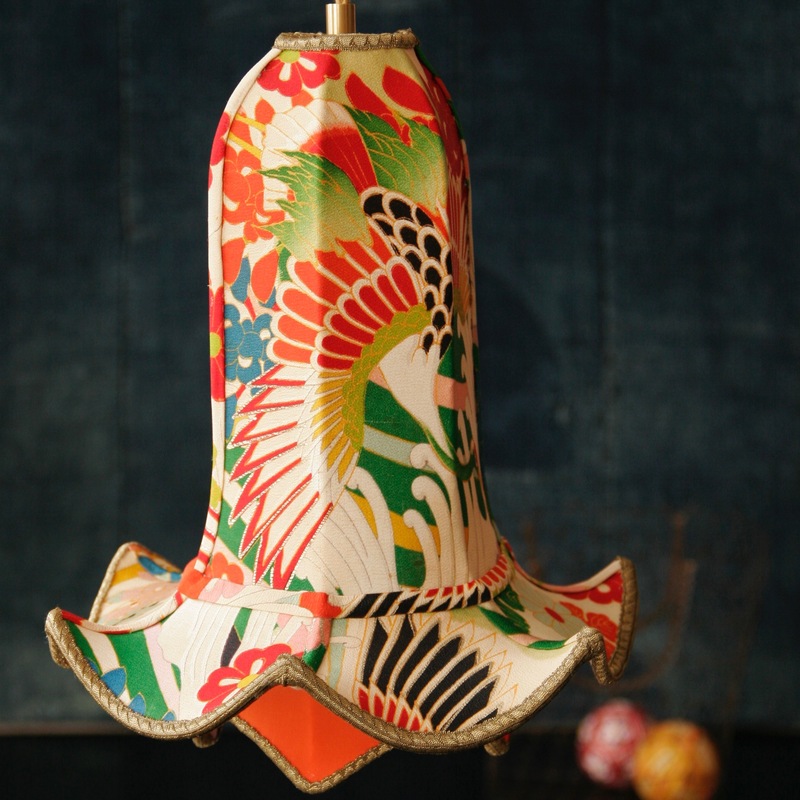 Small pendant lamp made from an original Japanese girl’s kimono . The pattern has two flying cranes and flowers and has very bright colors, such as red, coral, pink, emerald, celadon, blue, yellow, cream and black. The bottom part of the flower has a coral shading. The trimming is done in old gold.